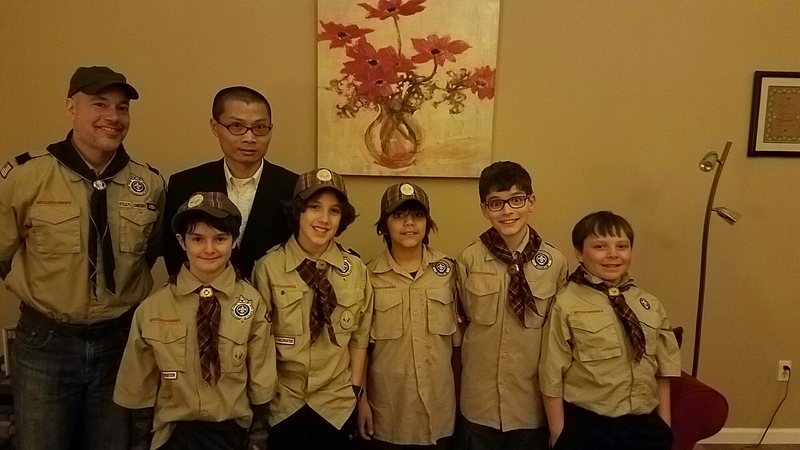 This Wednesday night (2017-2-1), I attended a local boy’s scout meeting to share my experience how I immigrated here and make River Hill my new home, how I get involved in local affairs on both River Hill board, Columbia Association board , HCPSS School Operating Budget Review Committee and others, how important for people get involved and get their voices heard. Thank you, Craig George and those wonderful kids who trusted me and asked so many questions. I really enjoyed it.